San Diego Comic Con is two weeks away and the panel schedule should be dropping tomorrow. I am very excited about what will be announced and already have Gabriel Rodriguez's panel on Friday at 1pm penciled in for my schedule. Rodriguez is best known for his incredible art on Locke and Key and is an absolute delight. Can't wait to continue to fill out my schedule! 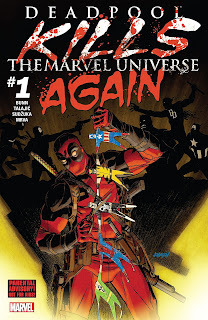 Deadpool Kills the Marvel Universe Again #1 - Cullen Bunn is back penning a Merc with the Mouth story and it is going to be a bloody one. The body count is off to a quick start as someone (Deadpool) has killed Gambit and a game of volleyball turned deadly for some of the Gods. They had better get to the bottom of why Deadpool has taken this dark turn fast as he is one of the deadliest characters in the Marvel Universe. I have always enjoyed Bunn's sense of humor and think it works well with Deadpool. 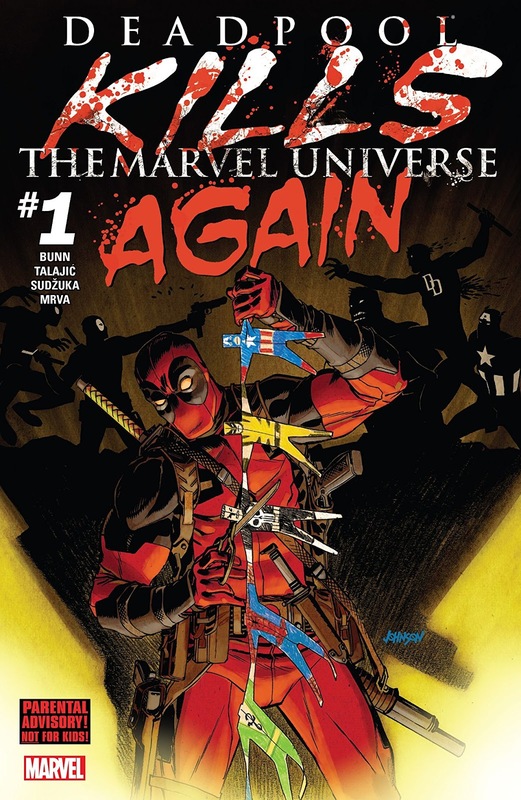 The first time Deadpool killed the Marvel Universe it was a lot of fun and this one is off to an extremely enjoyable start. I just worry about some of my beloved characters. Hopefully Squirrel Girl will be OK.
Baby Teeth #2 - I continue to enjoy this story about the birth of the Antichrist from Donny Cates. Apparently it is even more difficult to raise the spawn of hell than a regular newborn, and being a sixteen year old to boot doesn't help. In this issue we learn of a secret government organization that is tasked with killing said baby. This requires discretion and the hiring of the "prairie wolf". I am not looking forward to the antics of someone who is a child assassin, but found the R.E.M. soundtrack during this scene quite appropriate. Cates has a knack for horror and I am really enjoying this series. Daredevil #23 - Matt Murdock learns the hard way, although he probably expected it, that upsetting Kingpin has certain consequences. Kingpin, upset with Daredevil testifying and establishing a precedent that Super Heroes can remain anonymous and testify, sends Tombstone to intervene. 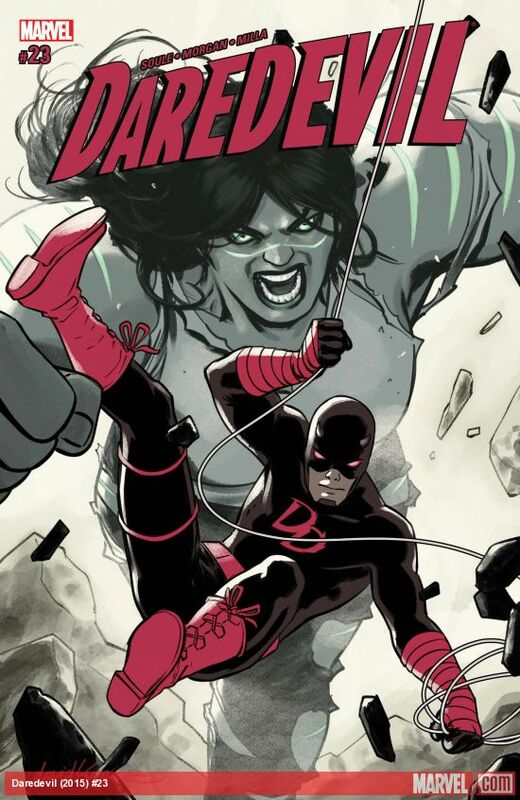 Fortunately She-Hulk was nearby when Murdock was attacked and he was able to protect his identity as she chased off Tombstone. Something is off with She-Hulk and it doesn't appear that Kingpin is going to be deterred. Issue #24 should be quite eventful. 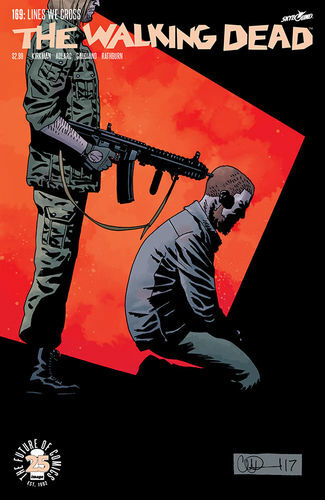 The Walking Dead #169 - Still dealing with the aftermath of the death of Andrea, Rick has to now say goodbye to Carl. 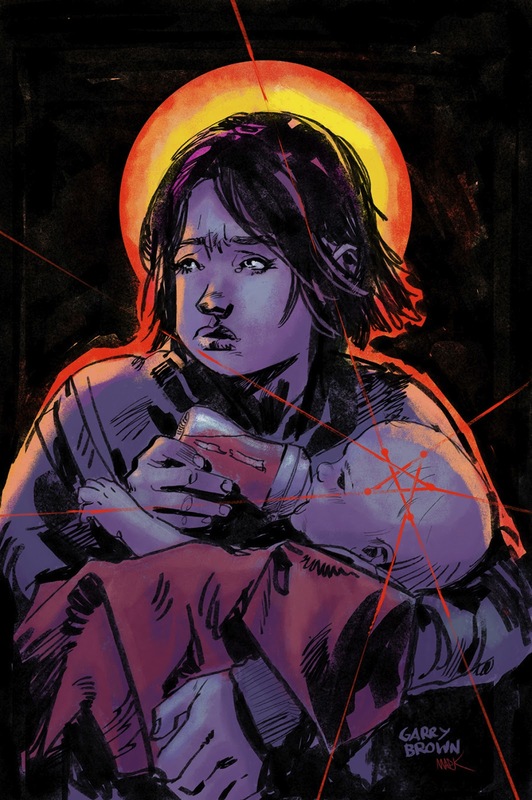 It is weird to watch a child grow up in a comic book, but Carl has developed into a strong character on his own and parted ways to chart his own path. I look forward to his continued development and the next big arc that Robert Kirkman has in store. A group is heading out to meet the group that they have been in contact with via the radio and Negan is a free man once again. Curious to see if he really has changed for good or if we will see his nasty side again. Rick has a lot of trust to rebuild and setting Negan free didn't help his cause.